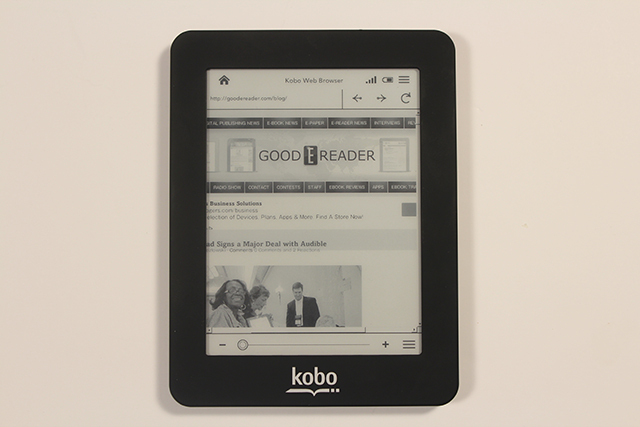 In 2012 Kobo released their first five inch e-reader, the Kobo Mini. This was the first time the Canadian based company deviated from the standard six inch screen size to a five inch model. This allowed it to be more lightweight and pocket friendly to carry it on the go. According to the Kobo website and various retail partners it seems to be officially discontinued. The main Kobo website has a featured images area where their entire product lineup of e-readers are listed. The Kobo Mini is now absent from this list and is unavailable to order directly from the online store. Major retail partners such as Chapters Indigo, Future Shop, Staples and Toys R US no longer list the Mini on their product pages. In rare cases you might still find one in the retail shops, but once they are sold out, no more will be incoming. Is it possible that Kobo is working on a second generation Mini e-reader? Will we maybe see a Mobius display screen or front-lite technology that will allow you to read in the dark? Only time will tell, the company is seeing critical success with their Aura HD e-reader which nearly accounts for 25% of their e-reader sales. The physical size of the Mini is perfect, and the PPI is adequate. The only reason I would buy another ereader is if someone came out with a front-lit model of a similar footprint. Love the size of the Mini, was very happy with it at $49. I hope they’re working on a similar sized (or even a bit smaller) replacement with a better screen and a front light.